Whether he was gunning out an audacious base runner that dared test his arm with a laser throw from right field or driving a pitch a few inches off the ground hard the other way for extra bases, equally executed with a paradoxical combination of awkward grace, it was hard not to smile each time you saw Vladimir Guerrero on a baseball field. Guerrero, the long time Expos star and 2004 A.L. MVP with the Angels, announced his retirement on Saturday almost two years after playing his last major league game. No longer the same player that amazed fans and players alike, his final comeback attempt stalled at Triple-A with the Blue Jays before asking for his release last summer when he didn't feel he would be called up to Toronto. 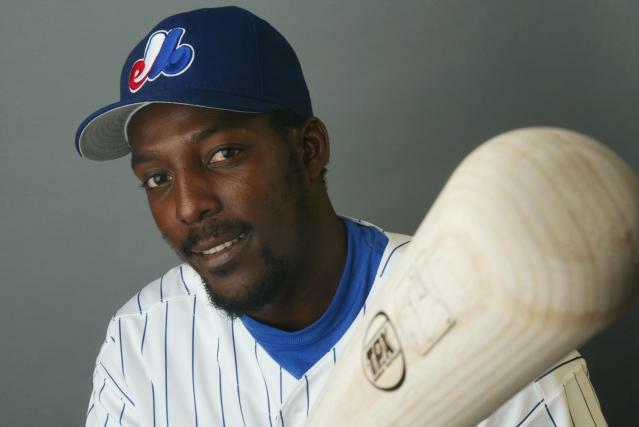 It's been over eight years since the Expos left "la belle province" and nine years since Guerrero played there, but Montreal baseball fans still romanticize about the dynamic way he played the game. At the plate, Guerrero was a prisoner to no strike zone. He terrorized opposing pitchers with a violent swing that could do damage against any pitch thrown anywhere from sea-to-sky to sea to shining sea. Guerrero brought that borderline reckless approach to the field too, his favourite part of the game. The thought of running against his legendary arm was not one that most runners chose to pursue, and in the rare cases that one foolishly did, it often led to a shame-filled walk back to the dugout. His greatness in Montreal was always overshadowed by the financial plight of the Expos franchise: poor attendance numbers at Olympic Stadium throughout, nearly contracted from the league in 2002, and a constant threat for relocation that eventually resulted in the team moving to Washington, D.C., in 2005, a year after Guerrero had left for Anaheim as a free agent. Through the constant uncertainty, Guerrero never changed. He remained, as Dan Le Batard puts it in this feature for ESPN The Magazine from 2002, an "anonymous superstar" in a star-hungry era. It was in Montreal where he began laying the foundation for his Hall of Fame candidacy. He finishes his major league career with a .317/.379/.553 slash line and 449 home runs. He hit over .300 in 12 straight seasons. His MVP award came as a member of the Angels but he made four All-Star games and won three Silver Slugger's with the Expos. He has the most hits all-time among players from the Dominican Republic. The advanced metrics aren't as kind to his HOF case but they grade out close enough to current induction standards that there's a good chance Guerrero could join Gary Carter and Andre Dawson as the third player enshrined in Cooperstown as a Montreal Expo. This summer, when a young, exciting, occasionally adventurous player emerged and captured our attention because of his raw talent and on-field flair, he was immediately compared to Guerrero. Yasiel Puig is not quite the same player that Vladdy was but the similarities are there. What the comparisons really reveal though, is that baseball is craving another player that played the game like he did, because as Expos fans can attest, Vladimir Guerrero was a treat to watch.